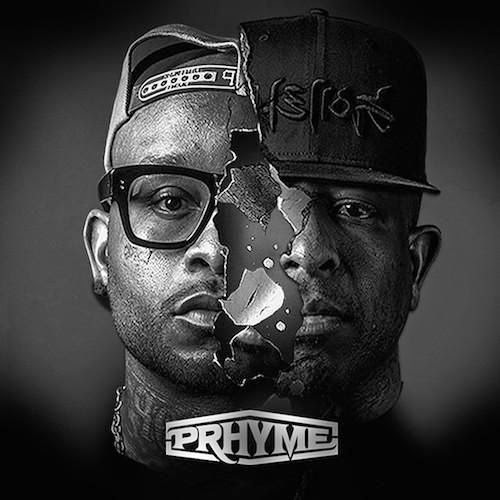 DJ Premier & Royce Da 5'9 combine to form the duo known as PRhyme, and their eponymous debut album is a reminder that no time nor space can ever ruin the sound that is the golden era of hip-hop. All fears that Royce is trying to replace Guru can be laid to rest, as this album is its own entity. PRhyme is not the second coming of Gang Starr. Instead, it's an homage to a timeless era, while at the same time serving as a reminder to younger generations about the type of music that actually has staying power. Every track is produced by the legend, DJ Premier, with help from producer Adrian Younge, who makes his presence known with soulful samples scattered throughout the album as well. The chemistry between Primo and Royce is natural to the point where you often begin to wonder if this is truly their debut. Royce is clearly cut from the cloth of the golden era that Preem helped build, so it should come as no surprise that the entire album is near-flawless. If the combination of Royce and Preem alone wasn't enough, the nine-track album is filled to the brim with notable features who all sound right at home over Primo's signature boom baps and voice loops. After the intro, the album kicks off with a guest appearance from Mac Miller & Ab-Soul on "Dat Sound Good." What makes this track special is just hearing how these up and coming protectors of hip-hop sound over such legendary production. Their presence is felt so strongly on this track you'd think they were artists directly from the era they're paying homage to. The amazing thing about shorter albums that take the safe route by sticking to Primo-esque production is that they are still high quality projects for the most part, albeit condense. With only nine tracks, one blemish stands out and has the potential to ruin an entire album. That's not the case with PRhyme. With the aid of masterful production, looping, and pacing from Preem, the tracks on this lp flow seemlessly into the next in a way that makes you not even care which song you're on. You know you're going to be hearing some heat no matter which track you're listening to. The album is just that good. The only other Detroit representative that makes an appearance on PRhyme is Dwele on the hook of another bright spot on the album with "You Should Know," but it would have been nice to see some more Detroit representation on such a strong project. Even with collabs like Jay Electronica, Killer Mike, Common, and even his own crew Slaughterhouse for the finale, you still can't help but feel like this was a missed opportunity for Royce to show some love to some worthy lyricists from his home town. Elzhi and Noveliss from Clear Soul Forces seem like obvious choices that would have been comfortably in their element on this album. Just imagine Royce and Noveliss (J-Roc) trading bars over "Courtesy?" WHEW! Or an extended version of "U Looz" with Royce & Elzhi going bar for bar trying not get outshined by one another? LAWD have mercy! It's a damn shame, honestly. Or maybe not including any Detroit rappers was a calculated omission? Either way, you can't feel too cheated with masterful features from artists like Jay Electronica and Killer Mike. But there's also no harm in wanting such a quality album to be perfect either. Like stayfly mentioned earlier, this has truly been a strong fourth quarter for hip-hop. The duo known as PRhyme has blessed us with a potential album of the year candidate. The lp is everything you would expect a collab between Royce Da 5'9 and DJ Premier to sound like, except it includes features from some of your favorite artists to ever come out of the underground. No concepts necessary. PRhyme not only serves as a milestone in the careers of both artists, it's hip-hop in its most pure form. It preserves everything that embodied the golden era, and contains all the right parts to be seen as an instant classic to most.